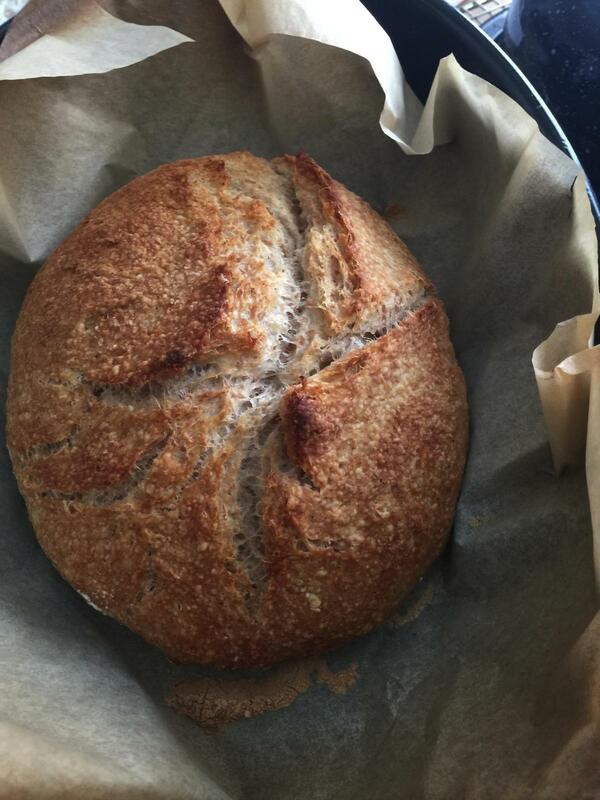 Best yet with the method and formula that joze had posted....http://www.thefreshloaf.com/node/56967/50-wholewheat-community-bake-jozes-version. I took to heart the discussion on over-proofing during both bulk ferment and retard. I also retarded my YW levain. What I consider my somewhat less optimal postings to his thread have tasted fantastic ! 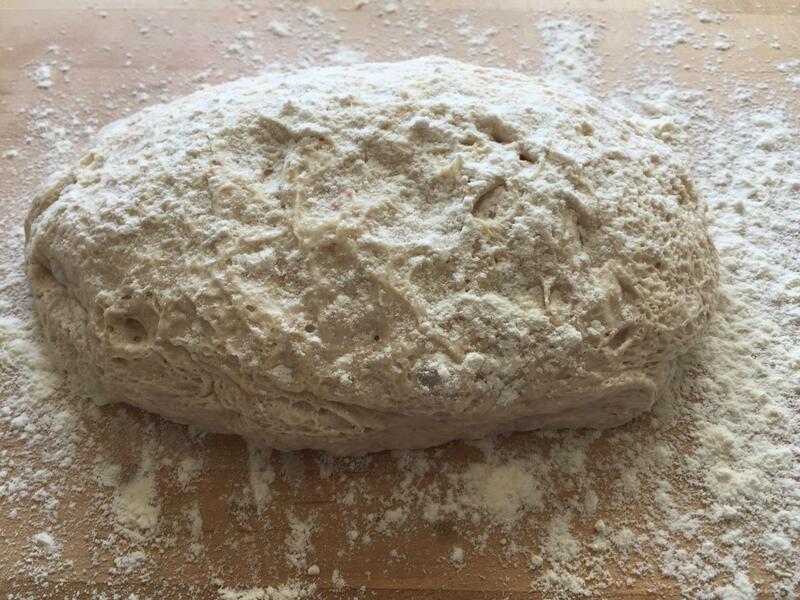 As has been noted YW bakes while fermenting and baking and then when eaten have the fragrance of a rich pastry/cake. I used my tomato YW in the first two bakes as discussed in the linked thread. I hadn't used a vegetable before. This bake used my 6 yr old apple YW. It is SO active and triples in just a couple hours at a warm temp. I got great bloom and ears and the fragrance is intoxicating. Will post a crumb pic when I let it cool . pic just before baking. I have gone back to baking direct from the fridge....I am fortunate to have a dedicated refrigerator in the basement so I set it at " 7" which gave me a 47 F temp. for retarding. my trusty granite wear roaster. I put it in the oven at 500 and just let it preheat till oven beeps ready. No extended preheat with this metal. I baked the 540g loaf at 500 lid on for 10min then lowered to 475 for 5 more min. Removed lid and finished at 475 for 15 min to 209 internal temp. crumb shots. 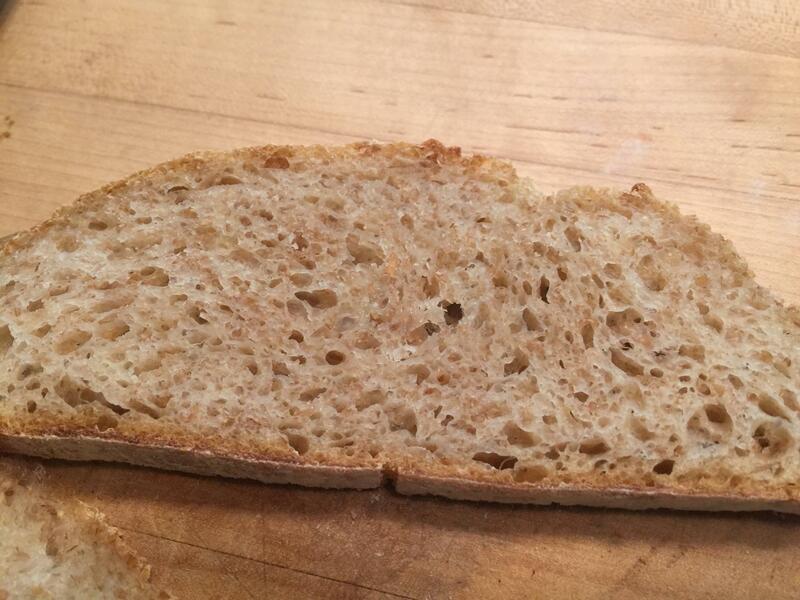 Shattering thin crisp crust, very wheaty flavor and a beautiful crumb. No giant holes in spite of the huge bubbles and pillowing during the ferment stage but that's OK.
What a nice loaf of bread. Glad to see a post from you. 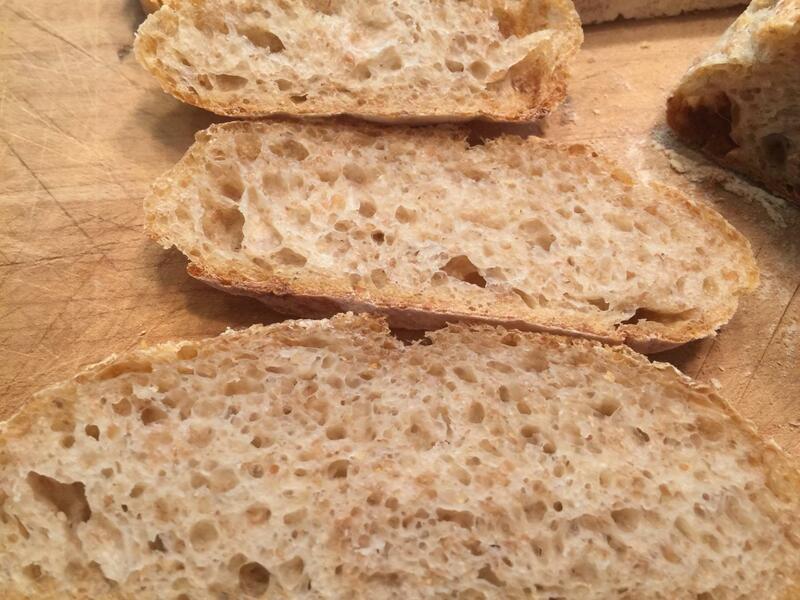 Nice looking crumb, nice and moist and open. I'm sure it tastes as good as it looks. Alas, my poor YW has gone away, but I shall make a new one soon to join in on all the fun again.